We will look at what is Yoga Chikitsa & Nadi Shodana and how we can purify our energy channels. What kinds of physical & psychological preparations do we need to do to prepare for Intermediate Series. 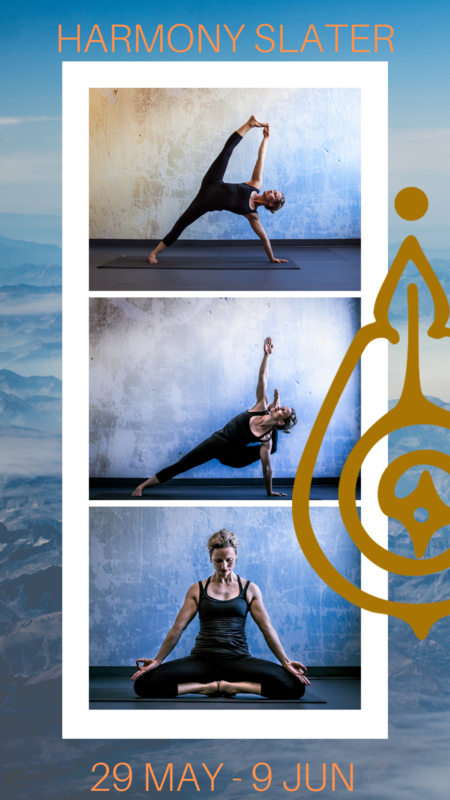 We will explore some back-bending enhancements: looking at the principles of opening the heart, being vulnerable, and the importance to cultivate great strength in the foundation of our lives (and legs). Open hips makes many asanas more accessible. This session will explore several different ways of opening the hips throughout the practice, and introduce different techniques to enhance ‘hip-opening’ outside of the practice – whilst protecting the knees. Students will come to understand more fully how to get into this area to help advance their personal practice. Pranayama is the expansion of the vital life energy within. Expanding our yoga practice into this fourth limb of practice deepens our concentration and improves our health. We will explore easily accessible ways to begin a practice of breath-control. This is an opportunity for students learn more about how to use the practice as a tool for transformation. This is a time for students to ask practice related questions or other yoga related questions.